Hi ! This is Steve’s niece, Estelle and her friend from France, Joanna. 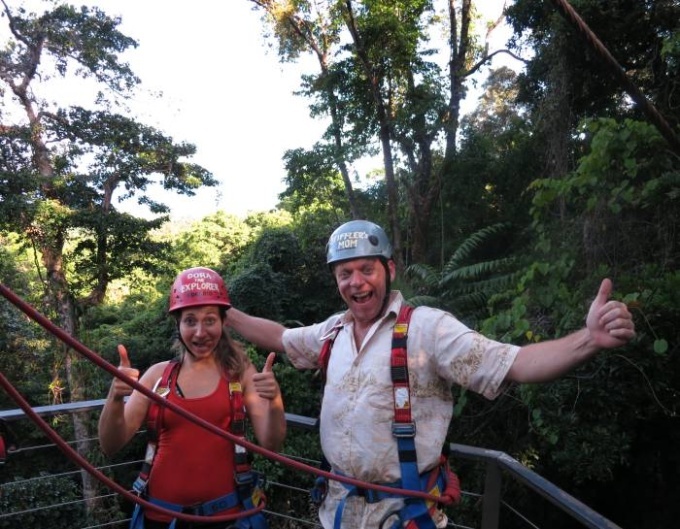 We’ve just spent a week in Cairns with Steve and Maria, and to sum it up … we had a blast !!! 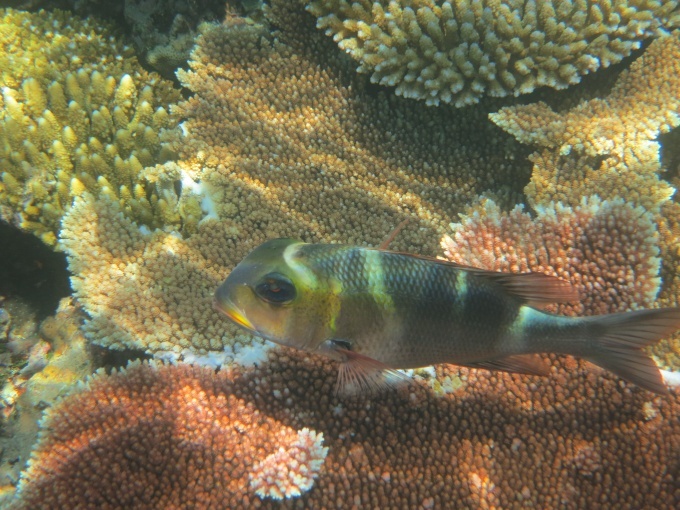 Day 1: Diving on the Great Barrier Reef. This is an experience of a lifetime. The whole day was extraordinary! 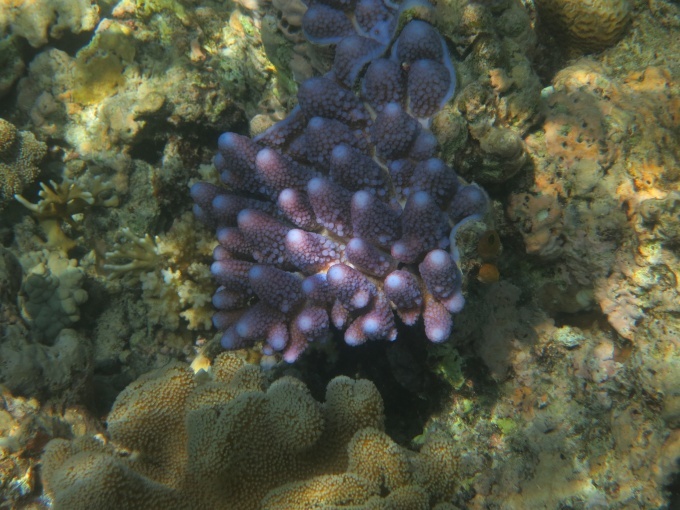 We discovered 2 different reef locations. At the first location, we were already in the water, diving (after brief but clear instructions). 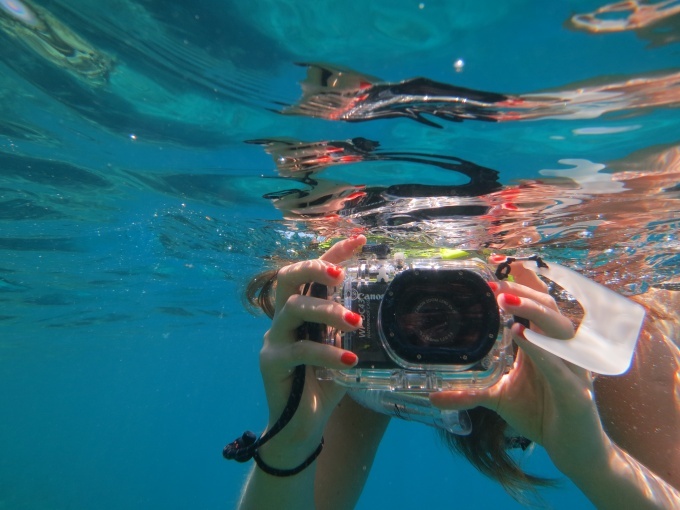 I can tell you my friend, it’s like entering a whole new world, discovering spectacular views and sensations of the marine life!!! 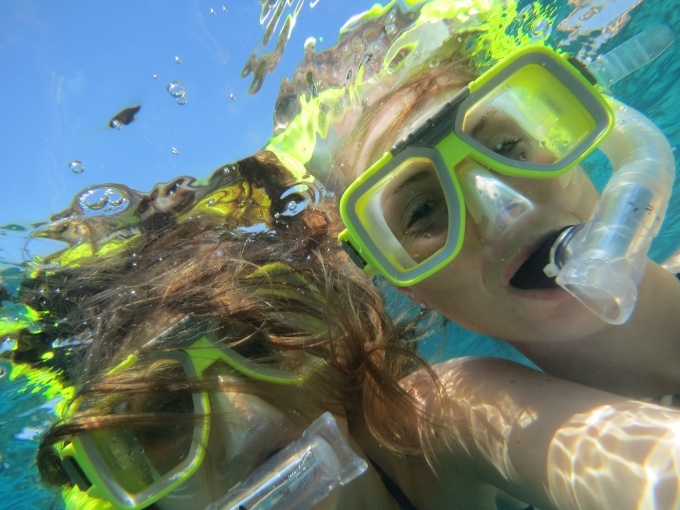 At the second location, we could snorkel as much as we liked, tan on the boat, or just chill out and meet other people. The crew was awesome and the food was too ! 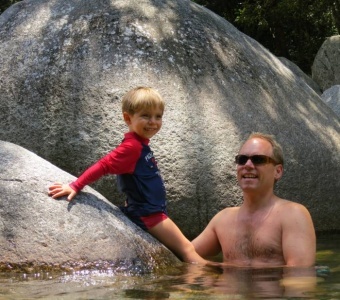 Day 2: With Steve and Nico, we went to Cape Tribulation, stopping by Mossman Gorge on the way, a well-preserved water-hole. 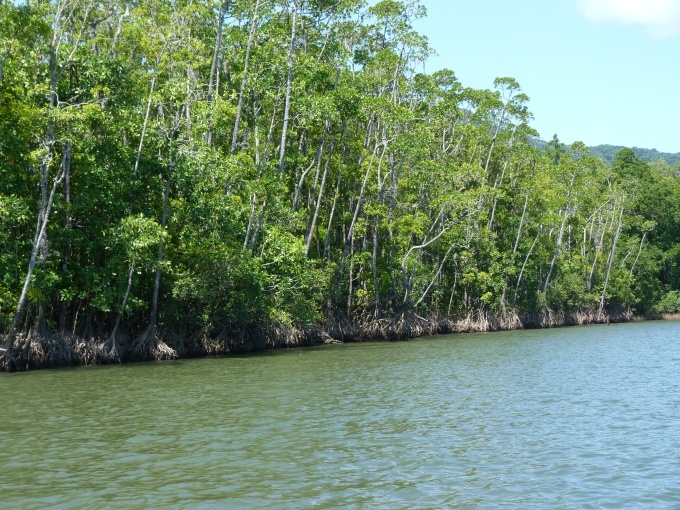 The river cruise on the Daintree River was our next activity. 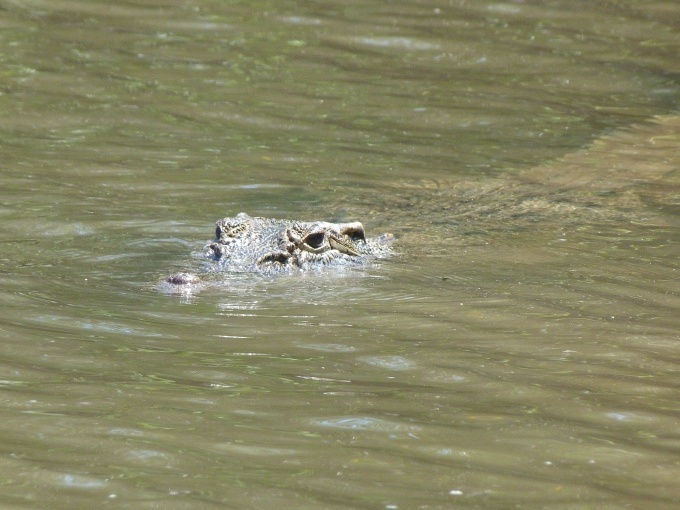 While enjoying the boat trip, a friendly guide gave us an informative tour of the surrounding wildlife, such as birds, snakes, mangroves, crabs, and of course the famous crocodiles! 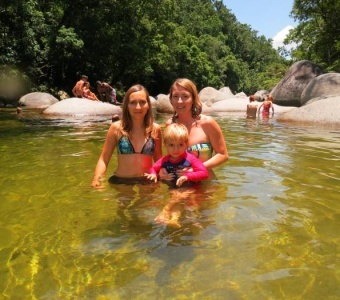 We got to follow a 2-meter long croc from close-up, and even spotted a baby. 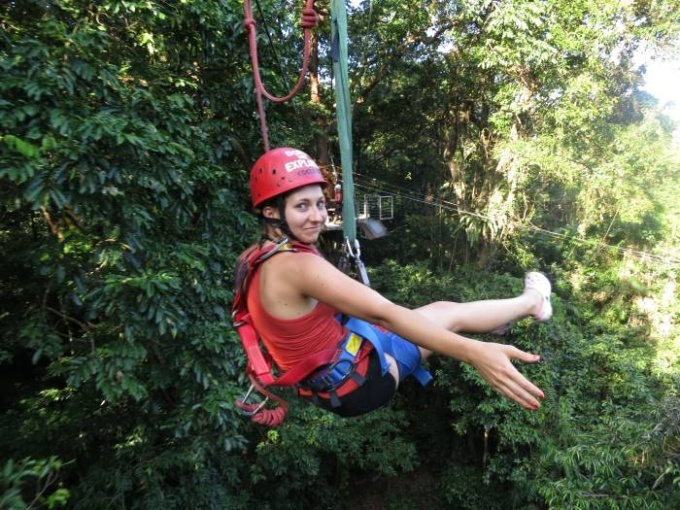 Next, we went to Cape Tribulation to jungle-surf! 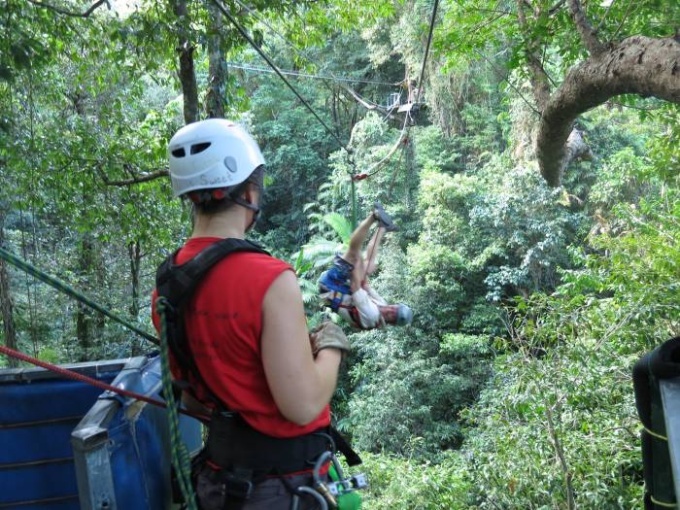 If you don’t know the concept, basically it’s a fun flying-fox group adventure … only what makes it all the more unique is it’s location in the oldest rainforest in the world! A great way to ally excitement, spectacular scenery and general knowledge. For those who felt adventurous, we even got to lick a green-ant’s bum! Day 3: We went to watch the bungy jumping. People seemed to be having lots of fun, but we didn’t get the courage!! 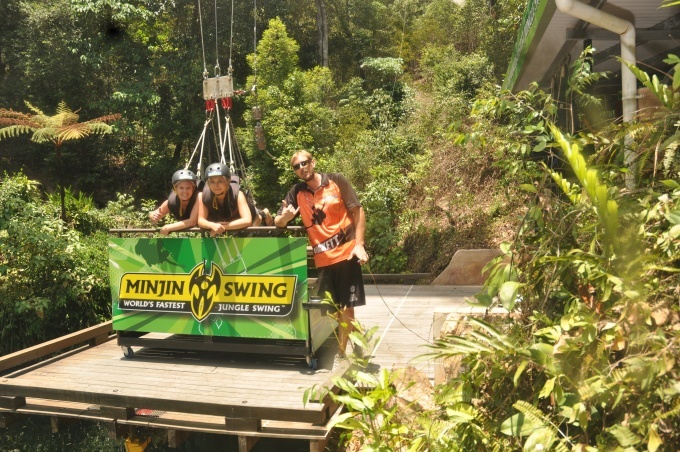 However, I got persuaded to try out the minjin swing, the world’s fastest jungle swing in the world. There’s not much to say, except that It’s a one-in-a-lifetime sensation, and that it just makes you want to experience it all over again! The view at the highest point is a bonus ! There can be up to 3 people at a time, so it’s something that can be shared with friends and fam… sometimes, it just needs a bit of convincing! 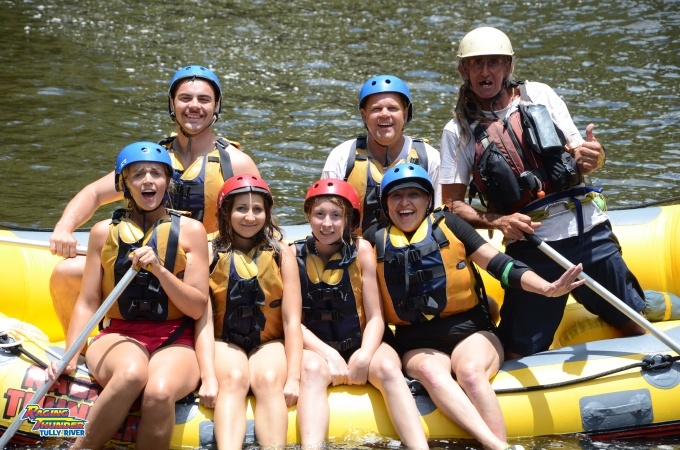 Day 4: This was our White Water Rafting day. The travelling was quite long, because we went all the way to the little town called Tully. 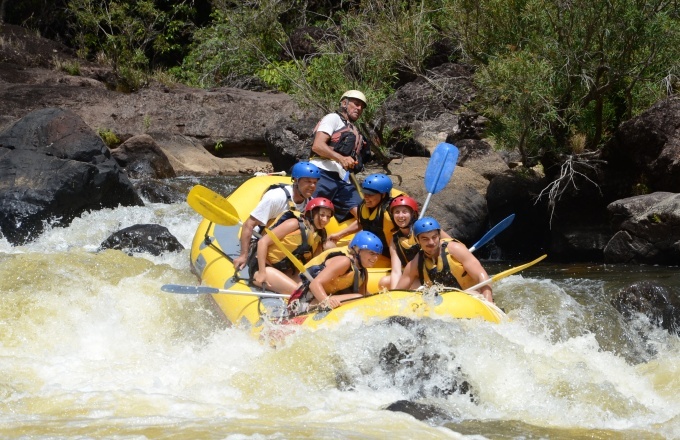 The team was energetic, and though we started off quite skeptic at the riskiness of this activity (and our beginner’s level), we were soon put in small groups with a team-leader who reassuringly knows his stuff! 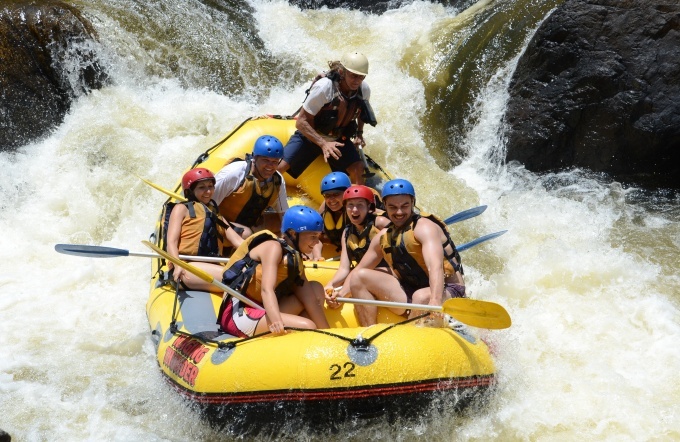 And yes, the thrill of going through the rapids is definitely worth it! The surroundings were mind-blowing, and there are moments of ‘quiet’ paddling to let it all sink in. Honestly, getting to watch the other boats on these natural roller-coasters was sometimes just as fun as going down them ourselves! 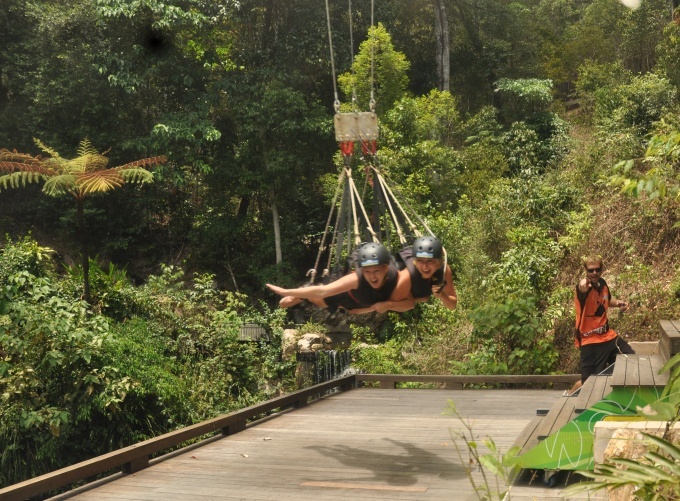 A day full of laughter, team-work and adrenaline: a real memory-maker. Of course, there was an aussie bbq lunch. If we were given a chance to do it all over again, we most definitely would ! I would just like to say that my Uncle Steve is the kindest, funniest, coolest, smartest, most handsome guy in the world. Sometimes I don’t believe how so much awesome can be wrapped in in one man. 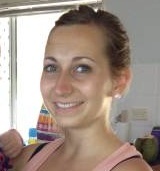 This entry was posted on Thursday, December 6th, 2012 at 10:43 am	and is filed under At home in Cairns. You can follow any responses to this entry through the RSS 2.0 feed. You can leave a response, or trackback from your own site. Thanks for the kind words, Stellie. It was a pleasure having you and Joanna here, and I’m glad you had a good time. However, I would like to make it clear to all readers that I did not lick the bum of any green ants. 1. 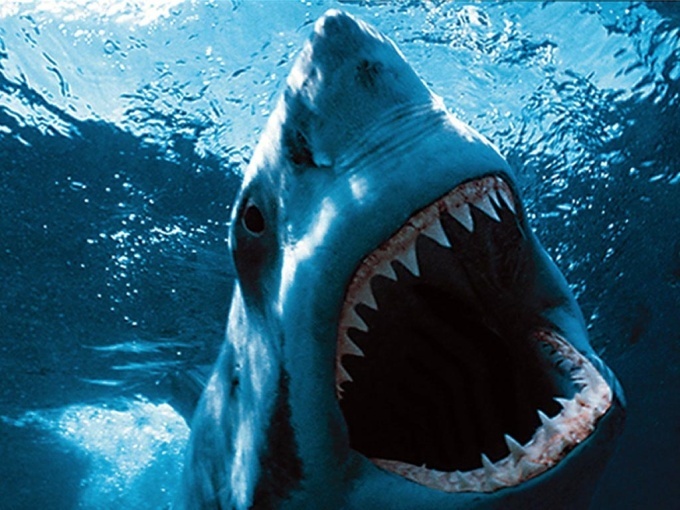 Is that open-mouthed shark for real??? 2. If so, I bet the water behind the photographer is murky. haha and very modest too !! Estelle stop, you’re embarrassing me. Glenn, murky indeed it would be. But you know our friendly reef sharks are far less confronting than that brute in the photo. quick visit thiѕ site and be up to date eveгʏ day.